"You've changed my life and my work." "You've changed my life and work." Do you know you could be having more impact, but don’t know how? You know it. That sense that life’s got something bigger in store for you. That it’s time to take things to a new level and make a bigger difference but you’re not sure exactly how? Whether you’re already working as a transformation professional (e.g. An executive coach, consultant, therapist, trainer) or just have the sense that there’s something calling to you: transformation starts with you (you can’t give what you haven’t got) and it has a structure; a structure you can learn, benefit from and use to make a difference to others. This gives you the “comfort in your own skin” that lets you navigate life elegantly, plus the self-belief and confidence in your abilities that lets people know you can deliver the goods. This is indispensable whether you want to take your practice to the next level or be more influential in your professional and personal life. In this programme, you’ll be guided through three essential transformations: Grounding (personal), Impact (interpersonal) and Livelihood (commercial). 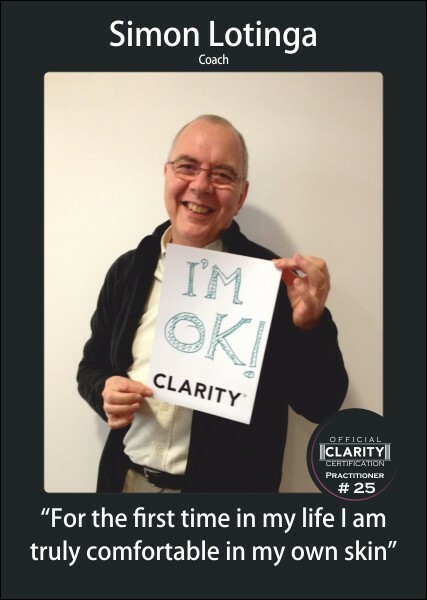 The Certified Clarity Coach Training programme starts early 2020 and includes 15 training days. There are 64 places in total live in-person and via our world class live-streaming experience (from the comfort of your home or office). The programme is by application only. Once you’ve submitted your application, we’ll schedule a 30-minute “chemistry call” with you to assess your suitability. Your application will then be reviewed by Jamie and the team to decide whether you’ll be a good fit for the community (and vice versa). You’ll be notified about whether your application is successful within 7 days. Grounding (aka “mindset”) is the foundation piece, yet it’s often the last place people look. Your grounding is what governs whether or not you’re able to have a massive impact personally and professionally. This means going through your own personal transformation so you can “be the change” in the lives of others. Your impact is what clients pay you for, give you raving testimonials for and what they’ll refer you to their friends and colleagues for. So what has to happen for you to have the kind of deep inner confidence and certainty that you can have a truly transformational impact in your clients’ lives? Simple: You’ve got to be capable of having that impact, and free from the insecurities that get in its way. Most of us have been trained for a world of jobs, employers and bosses, not the world of exponential opportunity that is quickly emerging. Your commercial transformation is about taking real control of your livelihood, and moving into a world of abundance through connection and service. 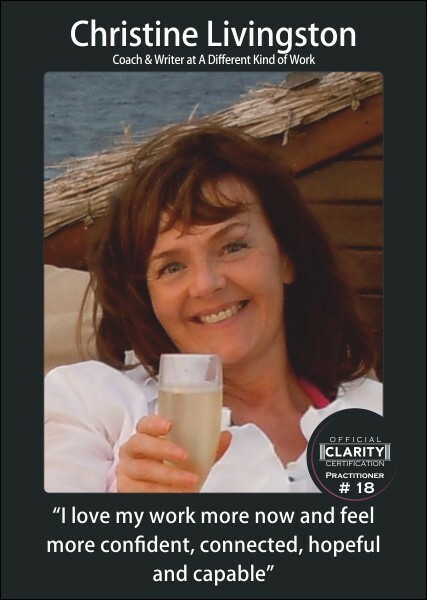 As you reach the final module of your Clarity Coach Training journey, it’s a time for consolidation, celebration and your continuing evolution. WELCOME: Registration, welcome and introduction. FOUNDATIONS: how to use the power of the single paradigm and Implication-based Learning to create profound transformation. CONNECTION: how to build deep rapport and "soul-to-soul" connection with individuals and groups. INSIGHT: Harnessing the awesome power of insight and realization. PERFORMANCE: The principles behind mental clarity and high performance. CERTAINTY: Finding your source of certainty and inspiration for impacting yourself and your clients. 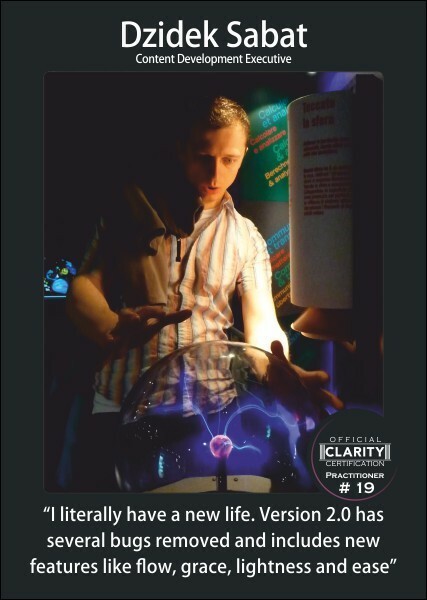 RELEVANCE: Seeing the role of the principles behind clarity in any and every situation, allowing you to ask highly relevant questions, make salient points, and quickly establish your credibility. 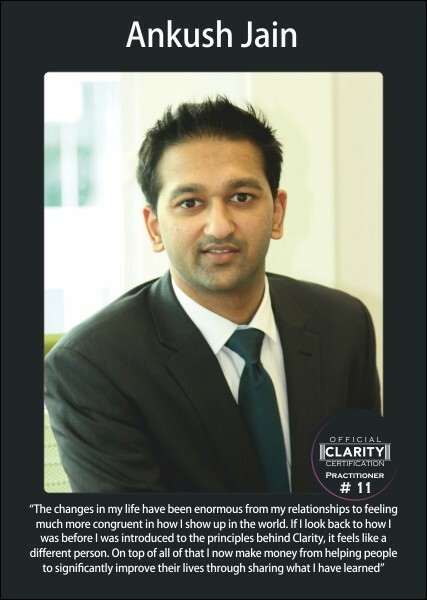 RELATIONSHIP: The Clarity Relationship Model: Bring more connection, compassion and clarity into all your relationships. INTUITION: How to navigate by wisdom and intuition to make better decisions, and have greater impact. 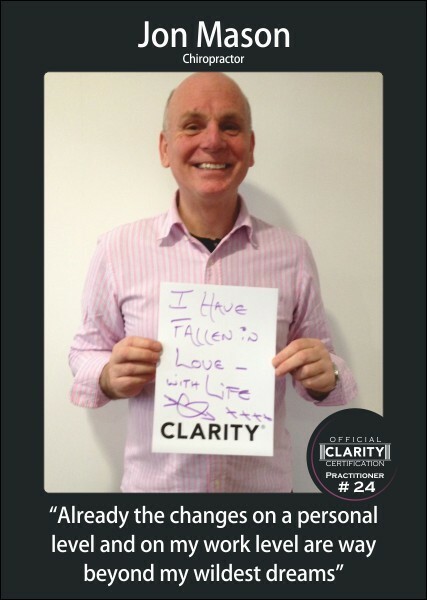 CLARITY: Identifying and clearing your blind spots, sticking points and stumbling blocks. DIRECTION: Awakening your inner source of leadership and direction, so you can take action and move forward without fear of criticism. 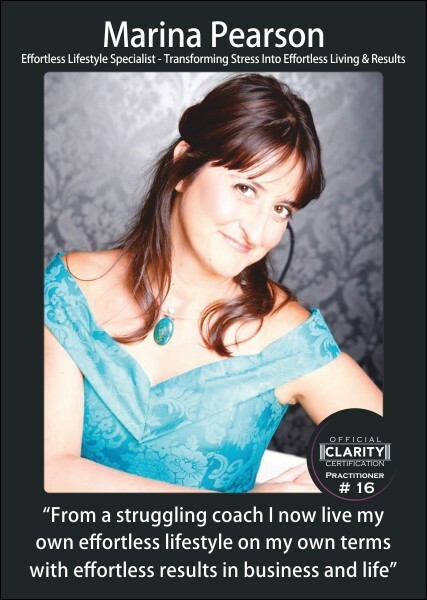 RESULTS: The Clarity Results Model: Setting your trajectory for personal transformation. MOTIVATION: Tapping into your innate capacity for resilience, motivation and momentum. My inspiration is this: I want to see you building up momentum over the next few months so that by the time we get to the end of the year, you’ll be living in a new world, and feeling great about continuing to build and grow. 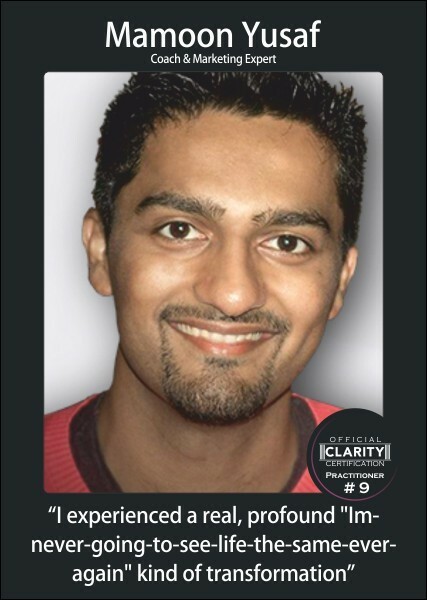 IMPACT: The Clarity Impact Model: increase your level of impact instantly in any context. LISTENING: Deep listening is like the transformation superhighway, and it’s absolutely essential if you want to make profound changes. INTAKE: How to do "intake" with individuals and groups, in personal and business contexts. This is how you find out where a client is, what they need, and how to establish the relevance of what you offer. PRESENCE: Authenticity, transparency and presence... People can feel it when you’re in touch with these, and they turn out to be like a “route-finder” for doing profound transformational work with people. SECURITY: You’re going to connect deeply with your inner source of security and wellbeing (neediness and insecurity are like static on the radio when it comes to impacting clients). CREDIBILITY: How to talk about the inside-out nature of life in a "business-friendly" way that makes it easy for potential clients to "hear" you, while building your credibility and authority. CREATIVITY: Developing your creative process, the key to working with “nothing on your mind”, secure in the knowledge that you’ll have what you need when you need it. RESILIENCE: We all have times when we don’t know what to do, or the client acts in a way that we feel unprepared for. You’ll learn how to keep your bearings in challenging situations, and find them again quickly if you should happen to lose them. ENGAGEMENT: How to share your understanding in a way that truly engages and impacts the people you want to connect with and make a difference to. CALIBRATION: The Clarity Calibration Model, your internal “routefinder” for staying on-track and making progress with your client. EDUCATION: How to identify "windows of teach-ability", the points where your client is particularly open to hearing something new and being impacted by you. SIMPLICITY: There are only two problems your client ever has. As you see this, it simplifies matters, increases your confidence and eliminates burnout and overwhelm, because your work becomes fun, fulfilling and exciting. BREAKTHROUGH: How to identify your client's “ultimate leverage point" for experiencing genuine transformation. SPEAKING: How to speak from a clear mind with individuals and groups, trusting your inner wisdom to guide and direct you. ABUNDANCE: Your freedom of thought around money, wealth and fees. VISIBILITY: The key to forming relationships with the people you want to serve. ENGAGEMENT: Awakened marketing, and the keys to sharing your understanding in a way that truly engages and impacts the people you want to connect with, and feels natural, authentic and transparent for you. CONTEXT: How to share what you know in a "business-friendly" way that makes it easy for potentially “difficult” audiences to hear you (E.g. businesses, scientists, academics, family members). INFLUENCE: The ethical keys to falling in love with persuasion, enrolment and selling (including how to have stress-free selling conversations that eliminate pressure and discomfort for you AND your client). 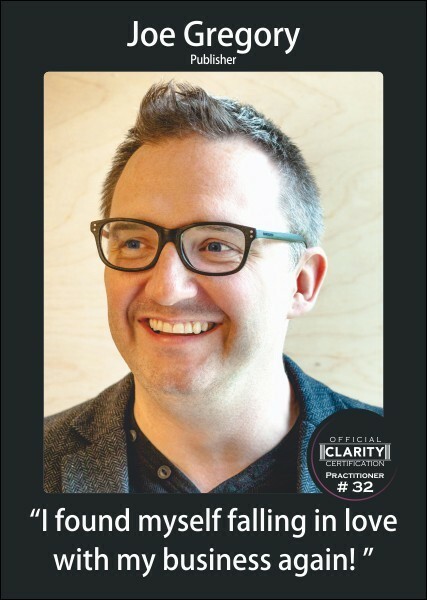 STRATEGY: The Clarity Strategy Formula for bringing your and your clients’ visions to life. MODEL: How to find the business model / practice model that fits you and your lifestyle (including what you need to know in order to conduct "multi-day intensives" with clients). REFERRALS: The number one most reliable, low-cost way to grow your practice / business / client-base. EXPONENTIAL: The mindset you need to capitalise on the exponential acceleration in technology and innovation (and the “exponential psychology” that enables it). EXPERIMENTATION: How to combine your resilience, wisdom and creativity to conduct innovative experiments that allow you to learn and grow fast. PROSPERITY: Extraordinary changes are sweeping the world. You’re going to discover why being a “transformation professional” is a great path, and learn the keys to prospering in the transformation economy. CONSOLIDATION: You’ll be consolidating and further integrating all that you’ve learned, and troubleshooting any remaining sticking points. CONTRIBUTION: You’ll identify opportunities to contribute to your community, your field and to humanity. 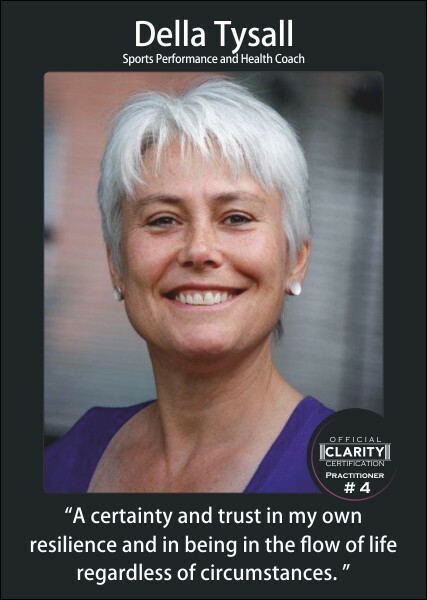 CERTIFICATION: The opportunity to gain a recognised certification as a Clarity Coach or Clarity Practitioner (see 'Certification Criteria' below for details). EVOLUTION: You’ll have a new vantage point for looking to the future, as your transformations continue to unfold and emerge. COMMUNITY: You’ll also be deepening your connection with a close-knit community of lifelong friends, colleagues and peers to share your journey with. CELEBRATION: Together, we’ll be celebrating just how far we’ve all come, enjoying each other and sharing our visions for the future. Many coaches aspire to run 1:1 Intensives with their clients - and no wonder. Working deeply with a client for several days at a time offers possibilities way beyond those available when working in shorter sessions. You get to see your client experience a massive transformational impact in a very short period of time, often achieving in a few days what might otherwise have taken months or even years to accomplish. You get to charge a premium (for example, Jamie Smart charges £30,000 or more for coaching packages that include an intensive) because the results can be so dramatic, and you get the satisfaction of knowing that you’re really delivering the goods. 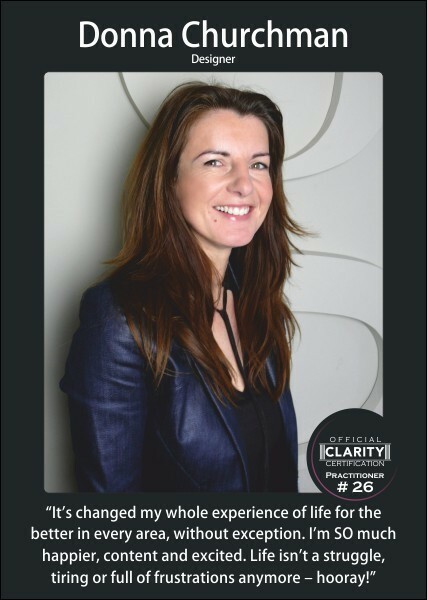 During the summer of 2017, Jamie Smart conducted a 3-day Clarity 1:1 Coaching Intensive with a corporate lawyer named Andy. 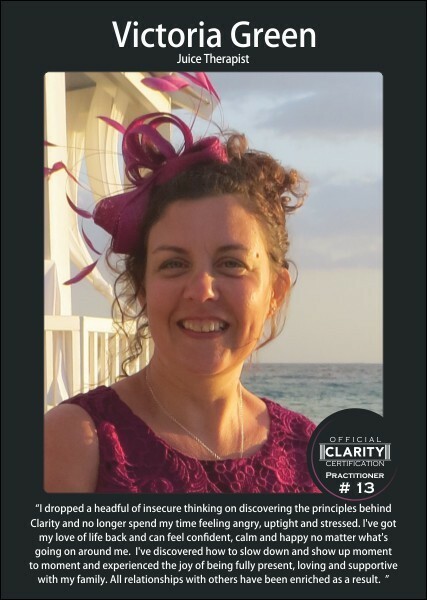 But this was an intensive with a difference, because it was done in front of a live audience of coaches, therapists and trainers who wanted to get a ‘fly on the wall’, insider’s view on how to actually work with a client in this profoundly transformational way. After each session of the intensive with the 1:1 client, Jamie joined the audience of coaches and therapists and unpacked what he was doing, answering their questions, sharing his intuitions and revealing advanced coaching insights. 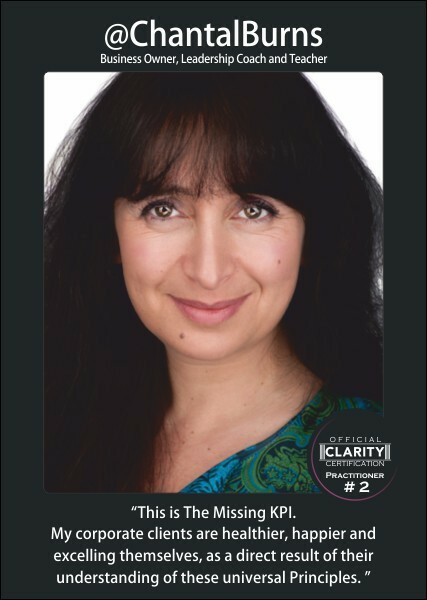 Fortunately, we captured all 3 days - the whole event - on video, so you’re going to get exclusive instant access to this previously unreleased audio and video material as soon as you join the Certified Clarity Coach Training Programme. 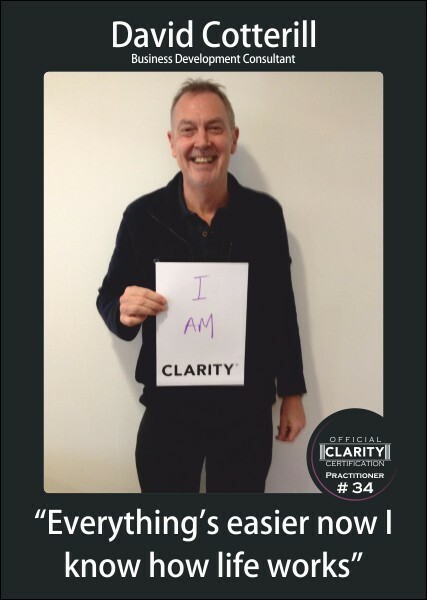 As part of your participation in the Certified Clarity Coach Training programme, you’re also going to get a place on whichever one of the following 3 ‘tracks’ best fits your needs. You'll get lifetime access to your choice of 90-day programme, so you can go through it whenever you like, as many times as you like. 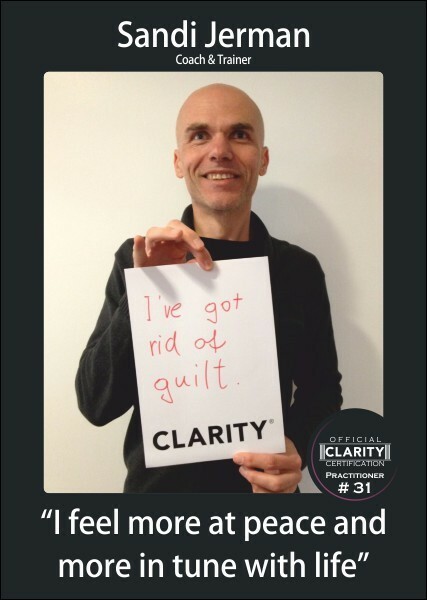 You can choose your programme whenever you're ready: before, during or even after you complete the Certified Clarity Coach Training programme. The Thriving Coaches Blueprint is going to be a great fit for you if you are *already* working as a coach, therapist, trainer or other transformation professional, and want to focus specifically on increasing your income and growing your practice. Escape Velocity: The Transition Blueprint is going to be a great fit for you if you are looking to transition out of your current main occupation into coaching, therapy, consulting, or something else more fulfilling and on-purpose for you. 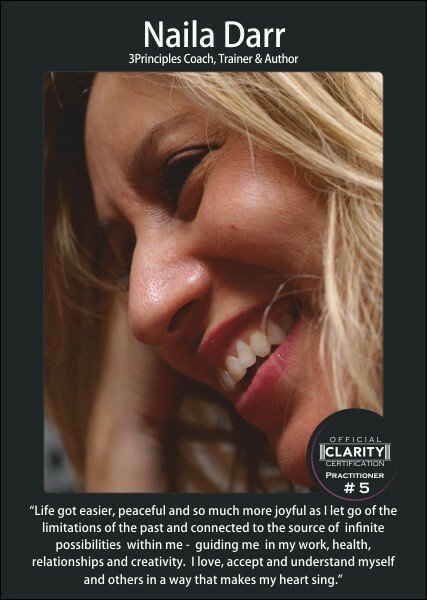 Clarity for Personal Transformation is going to be a great fit for you if you want to focus on bringing an understanding of these principles into every aspect of your personal life. 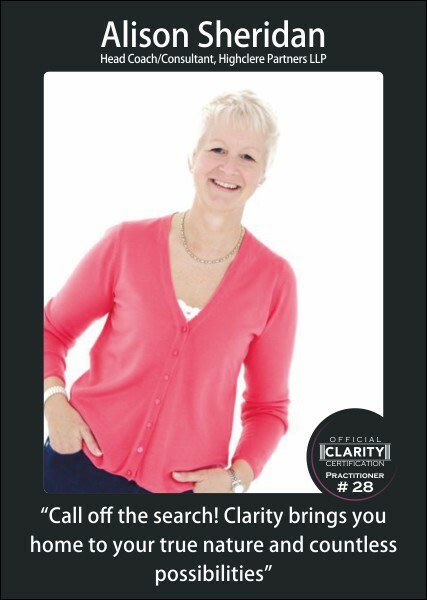 We back The Certified Clarity Coach Training Programme with a 100% satisfaction, 30-day money-back guarantee. Join us on the programme, and if you’re not blown away by the difference it’s making to you within 30 days of attending the first module, we’ll give you your money back. No quibbles, no hassle. And why a 30-day, 100% money-back guarantee? Because we want you to have complete security that you can try the programme with absolutely no financial risk to you. Philippe, Becky, Marcus and Terri talk about the ways they’ve each transformed their coaching practice through taking part in this programme. 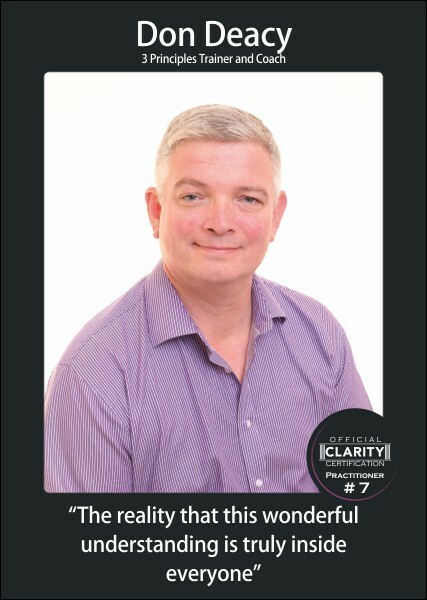 Phil, Gary, Marcus and Nikki share the way that taking part in this programme has resulted in: winning more work, dealing easily with stress and overwhelm, and gaining new clarity around business strategy and decision-making. Terri, Vanessa, Pete and Philippe share their experience of transformation in their relationships with family and loved ones through taking part in the programme. Live In-Person Attendance (32 places in total) £7,650 + VAT for flexible payment plans, or £6,950 + VAT for payment in full. Live-streaming/Virtual Attendance (32 places in total) £7,650 + VAT for flexible payment plans, or £6,950 + VAT for payment in full. 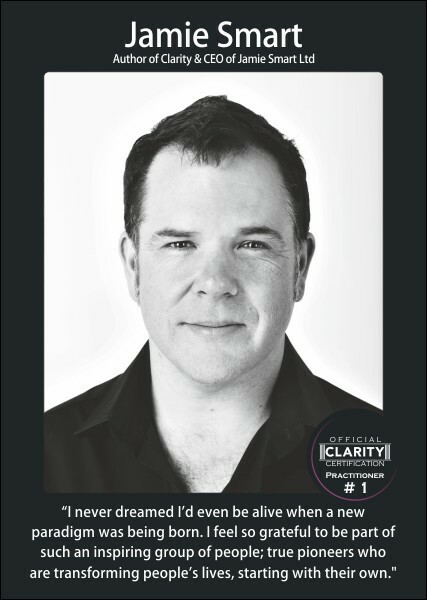 As you may already be aware, CLARITY and The Little Book of Clarity are both international #1 bestsellers. 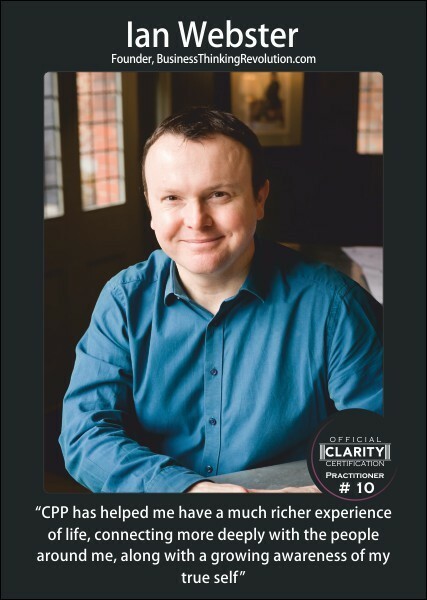 Over 50,000 copies of the books have been purchased, and Jamie is now experiencing big demands on his time, with more and more people wanting “Clarity 1:1 CEO Intensives” and other coaching and consulting support. He published his new book RESULTS which launched in November 2016 and is as successful as the first two books. He wants to ensure there’s a growing cadre of skilled CLARITY Coaches and Practitioners to meet that demand. 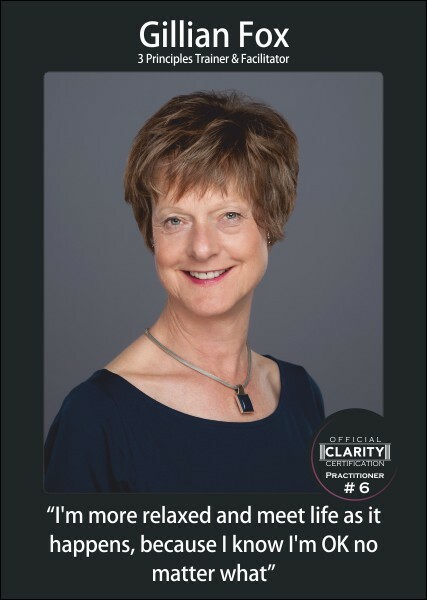 The Certified Clarity Coach Training is an immersive, 10-month programme for coaches, consultants, therapists and other transformation professionals who want to develop a deep sense of certainty and confidence in their ability to have a truly transformational impact on their clients. The goal is that, by the end of the programme (starting early 2020), you’ll have had a year of experience of sharing this understanding under your belt and, more importantly, be following your wisdom in taking it out into the world in their own unique way. Develop the kind of deep, embodied grounding that has you feeling comfortable in your own skin as you live and learn from this understanding, every single day. What happens when you imagine becoming one of those people who can deeply impact others, just by their being in your presence? Feel a deep sense of confidence as you share the principles behind clarity in ways that have a massive and profound effect for you and the people you’re here to serve. Are you fascinated with developing that “gentle certainty” that allows you to create the kind of dramatic results that have clients raving about you to their friends and colleagues? Feel great about creating clients as you transition to making your living in the form that is most aligned with your unique gifts, abilities and aspirations. Whether your unique form is building a thriving principles-based practice, leading an organisation, enjoying your current job or developing something yet to be discovered, you’re going to have everything you need to create it. Get on-track and on-purpose, as part of a community of passionate, like-minded coaches & practitioners working at the leading edge of human development. There’s something incredibly powerful about knowing that you’re able to share something that’s truly transformational. Deeply know that the search is over, and that you’re where you’re exactly meant to be, doing what you’re on this planet to do. Are you ready to experience a genuine transformation, to “step into a new world”? 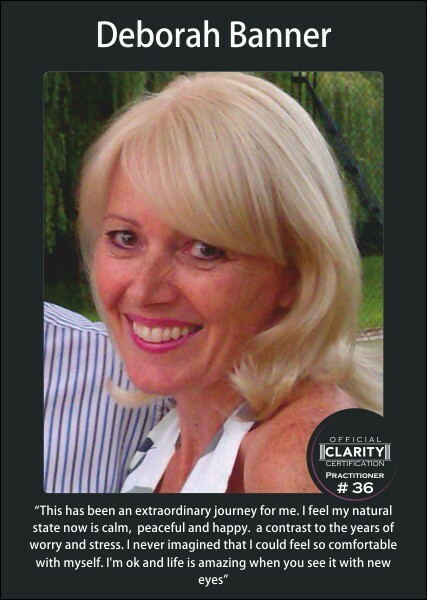 Become a certified Clarity Coach, a pioneering practitioner in this emerging field. You not only have the potential to be one of the most transformational coaches on the planet, but in a powerful position to build a successful practice based on real results. 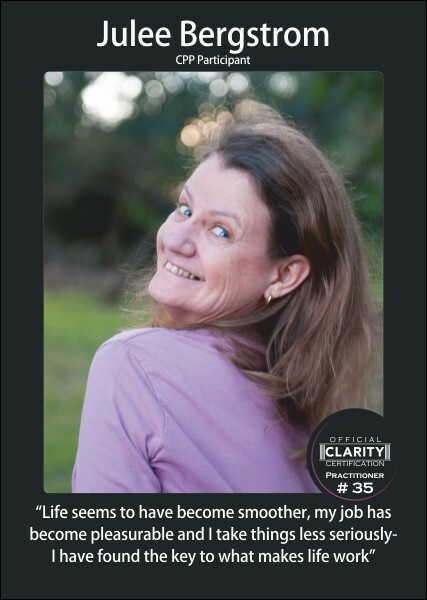 During the The Certified Clarity Coach Training programme, you’re going to be guided through the three transformations you have to go through if you want to have a big impact and be well-rewarded for it: Grounding (personal), Impact (interpersonal) and Livelihood (commercial). Deepen your grounding, so you’re living with a rich, embodied understanding of how your mind works. This is the kind of “comfort in your own skin” that lets you deal gracefully with the ups and downs of life, combined with a clarity of understanding that lets you see how the principles behind clarity are playing out in any situation. (If you’ve met someone who’s so grounded that you get impacted just by being around them, then you can imagine what it would be like to have this kind of clarity for yourself.) Of course, this is the source of the kind of “self-belief” and confidence in your own abilities that lets you (and others) know that you can deliver the goods. It’s an amazing feeling to truly know that you can make a real difference in your clients’ lives, and your grounding is the essential foundation for that. It’s also the basis for the high degrees of creativity, clarity and connection you’re going to be experiencing as you move forward. Share these principles confidently and impactfully with others. Have you ever gone blank and sounded vague when someone asked you “What do you actually do?” or “What is this stuff you’re talking about, anyway?” Many people have been deeply impacted by the inside-out understanding, but don’t have the kind of clarity you need to be able to share it with others. I’m talking about being able to listen to someone, and hear where they’re off-track, zeroing in on the “lynchpin” that will transform them. This is the kind of deep grounding that allows you to come up with a great question, a unique perspective or the perfect metaphor (this is particularly important if you want to share this understanding in business contexts, and with others who may be ‘allergic’ to anything which sounds “new age” or spiritual). When you have the “gentle certainty" that allows you to consistently share these principles in a way that has people transform, the results are incredible. Grow your practice / grow your client base / create what you’re here to create. Many people who aspire to build a coaching, training or consulting practice and really give their gifts to the world struggle with the things you need when it comes to growing your client base. But what would it be like if you could build your client base in a way that fits with who you really are, and feels great to you and your clients? The fact is, your grounding and clarity of understanding are the powerhouse when it comes to creating success in any domain, whether you aspire to build a six-figure coaching practice, create a world-class consultancy, lead a team to new heights, or create something entirely new. In fact, many people don’t know exactly what their purpose or calling is when they first start the programme, but your grounding is the key to allowing your unique path in life to emerge. Coaches, mentors or therapists doing 1:1 work with clients. Trainers, facilitators and speakers working with groups. Consultants working with people in business and other organisations. Business leaders & managers who want to integrate this into their business / work. People in client-facing roles who want to support their client-community. People who are in transition (perhaps feeling drawn to work with these principles in some way, but aren’t yet clear on exactly what or how). How to talk about the inside-out nature of life in a "business-friendly" way that makes it easy for potential clients to "hear" you, while building your credibility and authority. How to keep your bearings in challenging situations (and find them again quickly if you should happen to lose them). How to build deep rapport and "soul-to-soul" connection with individuals and groups. How to share your understanding in a way that truly engages and impacts the people you want to connect with and make a difference to. How to do "intake" with individuals and groups, in personal and business contexts. (This is how you find out where a clients is, what they need, and how to establish the relevance of what you offer). How to use the power of Implication-based learning to create profound transformation. Spotting "windows of teach-ability", the points where your client is particularly open to hearing something new and being impacted by you. What you need to know in order to do "multi-day intensives" with clients. Identifying and clearing your blind spots, sticking points and stumbling blocks. How to speak from a clear mind with individuals and groups, trusting your inner wisdom to guide and direct you. How to navigate by wisdom and your enjoy your life more and more. How to identify your client's "Ultimate Leverage Point", the gap between how they think life works and how it actually works (this is the biggest leverage point for helping your client experience genuine transformation). 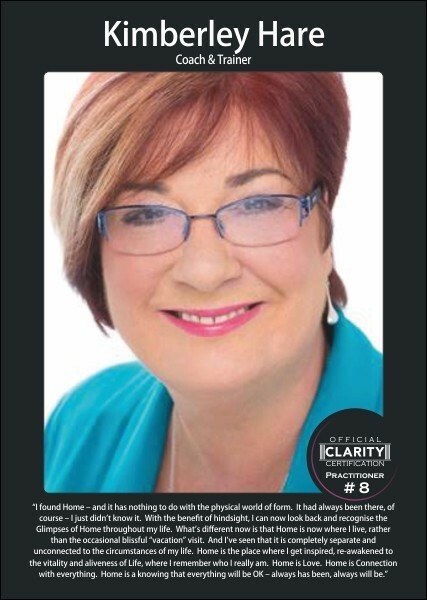 PLUS, you're going to be learning everything you need to build your client-base as part of the "Clarity Client-Getting Track"
Seven-figure coach Pam describes how the programme has helped her get far more profound shifts with her clients. Plus the unexpected personal shift that occurred the very first weekend and is still delivering very visible results! 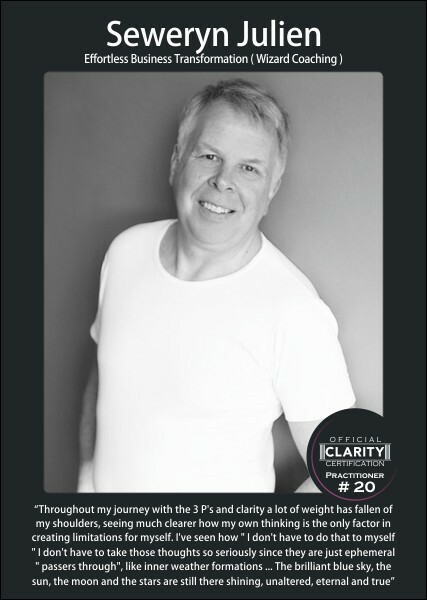 Six-figure business coach Jeff Shrimpton describes the way the programme has enabled him to create shifts with clients in minutes, as well the huge transformation in the "emotional rollercoaster" of his life. 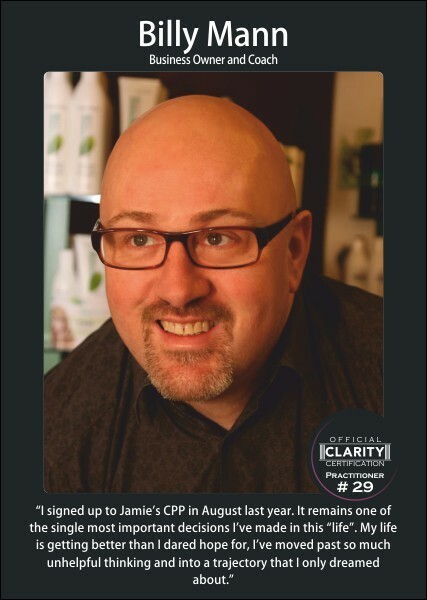 "Since I've been on Jamie's course my business has been growing. Because I'm more stable and I'm more centred, the growth that I'm getting is more stable, more sustainable". "...the core scores were just crazy – I mean, the drop in terms of someone starting off with quite extreme psychological distress and just dropping right back into the normal clinical population. To get that kind of a drop, it was just completely mind-blowing." 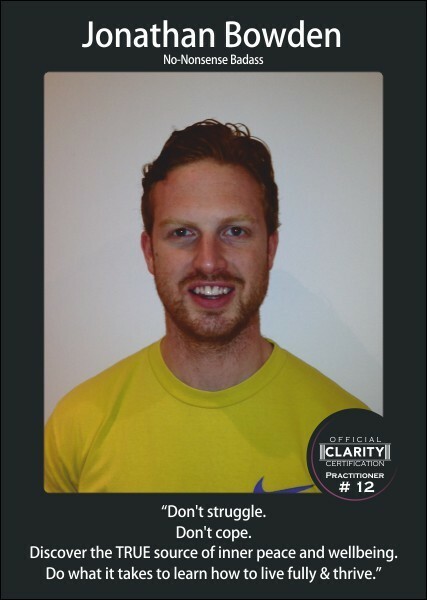 "I've found a way to incorporate my nutrition and nutritional therapy with my coaching but working in a much bigger, more holistic way, so that's much more fulfilling for me but also much more impactful for the clients. Financially... I've just charged my biggest amount for a programme, which I never envisaged being able to do." "Everybody has the capacity to lead and do extraordinary things which they never thought were possible... I'm a much happier person despite going through a series of events which on the surface would appear fairly difficult, but being able to cope with things like that with grace and ease - that that's what the program can give you." 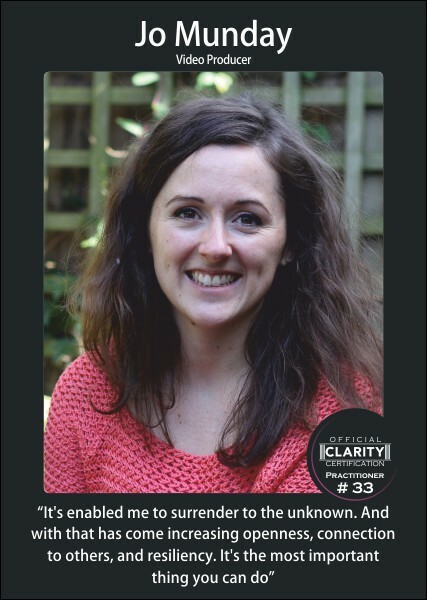 Claire joined the programme for personal reasons and found it invaluable in navigating huge life change. "Literally everything has everything has changed you know, it's completely changed how I view all of my relationships and the depth of connection that I'm experiencing with everybody, particularly the people that I'm that I'm closest to." We want to ensure that our participants are on the right course for them, and for us. If you would like to discuss further details on any aspect of the course or application process, please use the link below to drop us an email and we’ll get in touch with you directly. 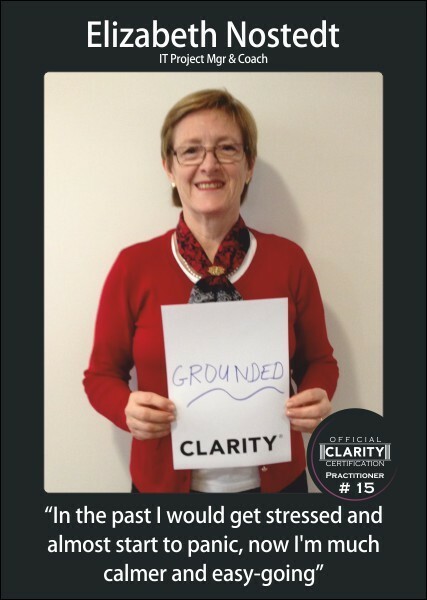 When you take part in the Clarity Coach Training Programme, you'll have the opportunity to be certified as a Clarity Coach or as a Clarity Practitioner. 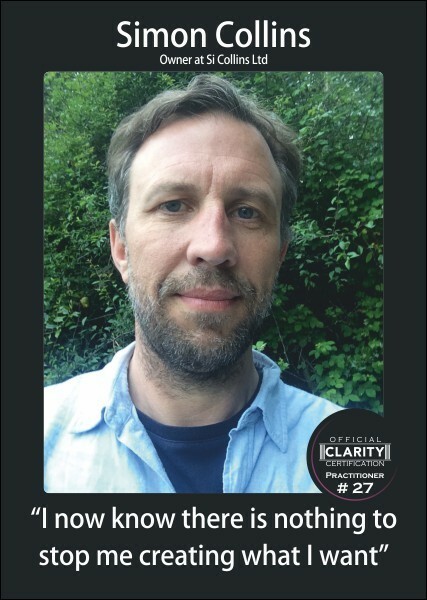 Because of the leading edge nature of the Clarity Coach Training Programme, certification is awarded by Jamie Smart and Clarity Academy Ltd, not by a 3rd party or governing body. 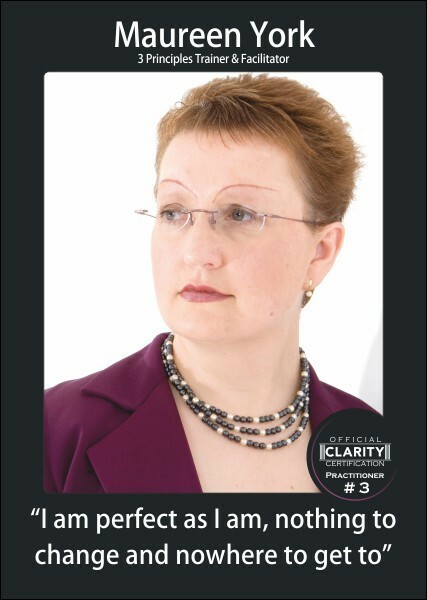 Certification as a Clarity Coach is more stringent than certification as a Clarity Practitioner, and will require you to have completed a set number of hours of coaching in a 1:1 or group context. Click here for full certification criteria. 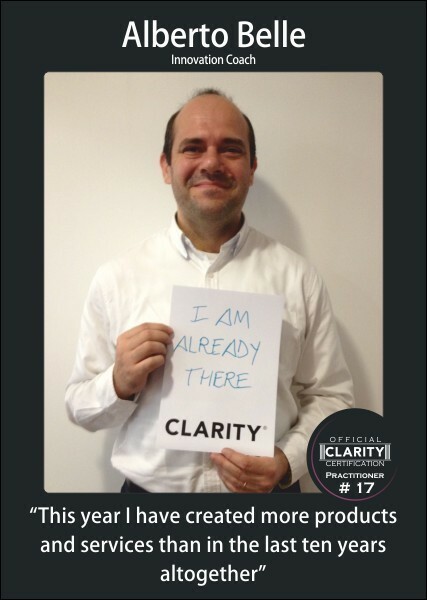 1) Attendance on and participation in the Clarity Coach Training Programme. If days are missed, they must be ‘made up’ using video replay. 2) Mentors will keep track of students' progress over the course of the programme using a “traffic light” system, where GREEN means on track, AMBER means some extra guidance required and RED is a flag signal. Red signals usually only show up if a student is not in contact with their mentors / in attendance. Certification requires a GREEN audit from the members of your mentoring team based on their experience of you by the end of the course. 10 hours of automatic credit will be given providing classroom exercises are done as part of the live training days. 30 hours max can be from peer coaching (ie. with colleagues from the course). 40 hours must be evidenced from coaching activity with people outside of the Clarity programme, of which 20 must be on a 'paid for' basis. 'Payment' for up to 10 hours of this portion may include reciprocal coaching or barter for other goods or services. At minimum, 10 hours of the total allocation must also be attained from work undertaken on a monetary basis (ie. cash payment). 4) Certification will be based on submitted evidence of coaching hours, detailed on the official Clarity Coaching Log Sheet. 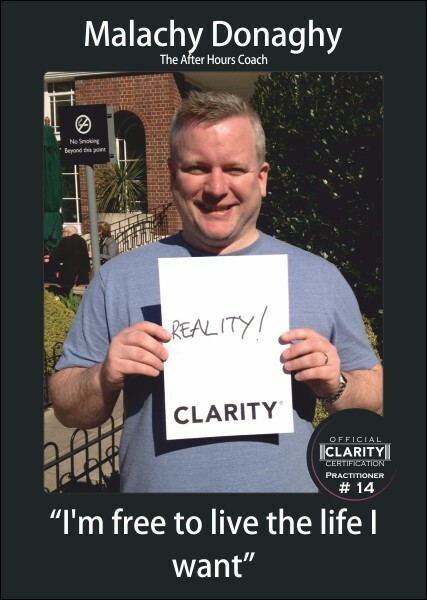 5) Jamie Smart to make the final “sign off” decision for each person seeking Certification as a Clarity Coach. 6) There is no rush to get certification by the end of the programme. Certification can be granted at any time following completion of the course if the criteria above are met. 7) There are plans to introduce Continuous Professional Development (CPD) requirements in the future, and Clarity Academy Ltd reserves the right to introduce CPD criteria at a later date. 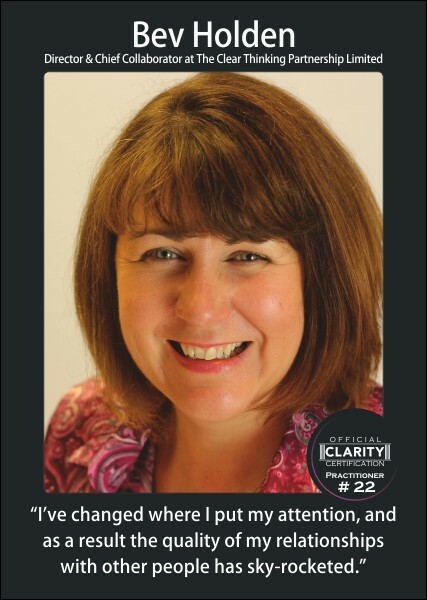 8) Certification as a Clarity Coach gives you the right to use the Clarity brand in specific ways, for example referring to yourself as a ‘Clarity Coach’ and use of official Clarity Coach business cards. Should you wish for any other activities to be considered in support of your application, please provide full details in the relevant section of your Log Sheet. Assessment of such material will be on a case by case basis.